This study of Ibn Rushd (Averroes) is not only a historical homage to the genius of this great European but it is also much more a reminder that “Law is more than merely state laws”. Ibn Rushd , Arabic (ابن رشد), known as Averroes 510-595 AH (1126 – 1198H), was an Andalusian-Arab philosopher and physician, a master of philosophy and Islamic law, mathematics, and medicine. He was born in Cordoba, Spain, and died in Marrakech, Morocco. His school of philosophy is known as Averroism. Also known as Averroes or ‘The Commentator’, Ibn Rushd, came from a family of jurists and was born in Cordoba in Moorish Spain. He himself trained in law and medicine and later served as qadi or judge in Seville and Cordoba. In 1182 he was appointed physician to the court of caliph Abu Ya`qub Yusuf in Marrakesh and to his son, Abu Yusuf Ya`qub, in 1195 but was recalled shortly before his death. In the field of medicine Averroës produced his Kulliyat fi al tib (General Medicine) between 1162 and 1169. He is however better known for his great commentaries on Aristotle but. Dr. Asadullah Yate studied at the University of Cambridge and received his doctorate (PHd) in 1987. He has studied with teacher Shaykh Abdal Qadir al-Murabit as-Sufi and has translated, on his behalf, books such as The Secret Garden of Shaykh Mahmud Shabistari, and is presently engaged in a translation from Arabic of the Kitab al-Mufeed of Shaykh asch-Shinqeeti and Necip Fazil's Ulu Hakan from Turkish. Imam Malik (full name Malik bin Anas bin Malik bin Abu Amir Al-Asbahi) was born in 93 A.H. and died in 179 A.H. He lived most of his life in Madinah, the city in which the Prophet (pbuh) settled in. He was a preeminent scholar of Islam, and is the originator of the Maliki judicial school of thought. He is reputed to have had over one thousand students. 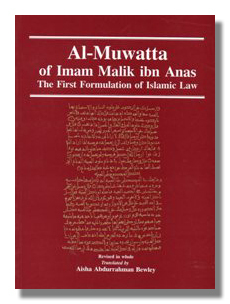 During Malik's lifetime, he steadily revised his Muwatta, so it reflects over forty years of his learning and knowledge. It contains a few thousand hadith. The author describes the first 40 years of the Islamic State, dealing with various events during the rules of the Four Caliphs with impartiality and objectivity. He carefully removes sectarian prejudices from the pages of history. 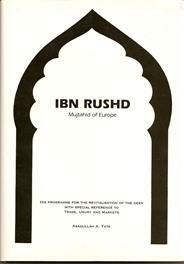 This book is highly recommended as a text book on Islamic history in higher institutions. Topics discussed include: The roots of the Life Transactions, The science of fiqh, the science of tawhid, the science of tasawwuf. Born in 1168 AH Uthman well known as 'dan Fodio'which literally meant' son of the scholar', as his father was already a well known and established scholar in Hausaland. For the next thirty years Shakyh Uthman, along with his family, relatives ,fellow scholars and students, committed themselves to da'wah (calling to islam) and teaching tours throughout Hausa land (West Africa) :calling people to establish Islam in their hearts and homes; adhere to the Qur'an ,Sunnah and Ijma (or consensus) of the Sunni scholars; forsake innovation; show compassion towards all Muslims; and to end all forms of political and economic oppression. When the rulers became fearful and envious of Shaykh Uthman `s large and loyal following of believers, they began persecuting the Muslims severely. This led to their being blessed by Allah to perform hijra (emigration) and ultimately to their successful jihad (military struggle) against the Hausa kings. 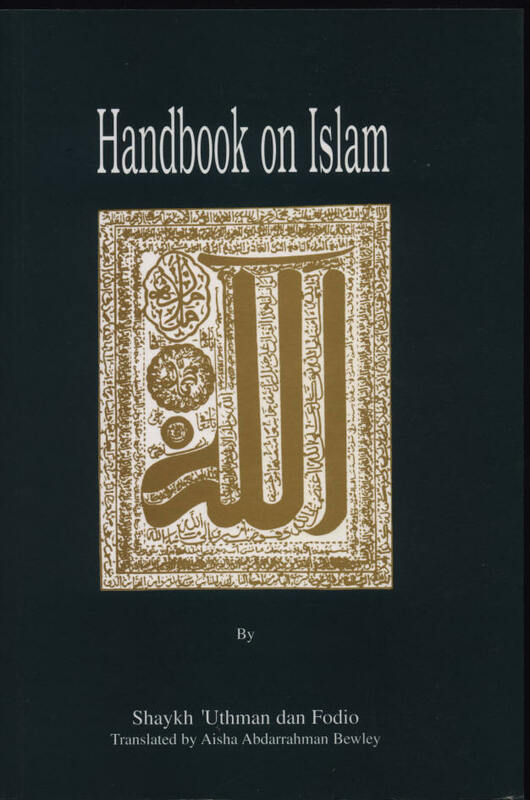 Their blessed jihad established an Islamic Caliphate in 1807 CE that became one of the most righteous, just and equitable societies this world has ever known. This work examines the philosophic foundation and principles of Ibn Khaldun's new science of culture, to show that an adequate understanding of his contribution to the study of the various aspects of human society requires an understanding of his all-comprehensive approach to sociology. Have our historical and cultural sciences made philosophy superfluous, or are they themselves, on the contrary, in dire need of a philosophical foundation? This book attempts to clarify this problem through the study of perhaps the only great thinker who considered the problems of history and culture, and founded a special science to deal with them, based on the philosophy of Plato and Aristotle and their Muslim followers. This is the first study of Ibn Khaldun in which is not an apology either for the modern social sciences of for the ‘modern character of Ibn Khaldun’s thought, but a thoroughgoing analysis and interpretation of his text. Ibn Khaldun founded a special science to deal with the problem of history and culture based on the philosophies of Plato, Aristotle and their Muslim followers.